Nautical by Nature: Castaway Clothing Critter/Embroidered Shorts FLASH SALE! Castaway Clothing Critter/Embroidered Shorts FLASH SALE! 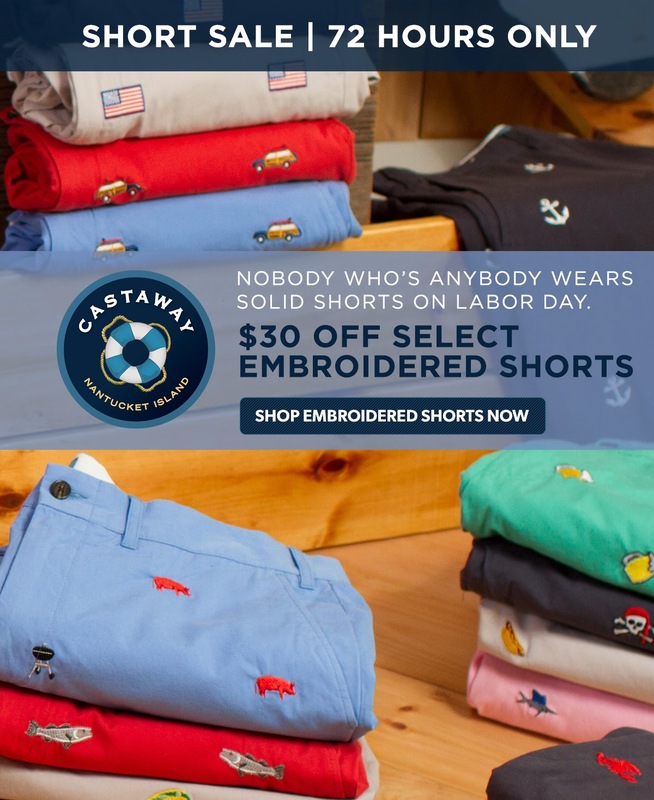 Castaway Clothing Nantucket is having a flash sale for 72 hours on embroidered/critter shorts-just in time for back to school and Labor Day weekend! Mens shorts are down to $68, womens are as low as $61, and boys are as low as $40. For women there are two different styles: bermuda and sailing. For men there is the cisco style. Boys have the jetties style. There are a TON of critter options available: anchors, boats, flags, crabs, bows, mermaids, lobsters, and more!